The E-Power machine benefits include pain relief, hours of energy, anti-aging properties and skin rejuvenation, increased negative ions (scientifically proven to relieve depression and neurosis), improved cellular repair and function, pH balance, detoxification, and improved elimination. 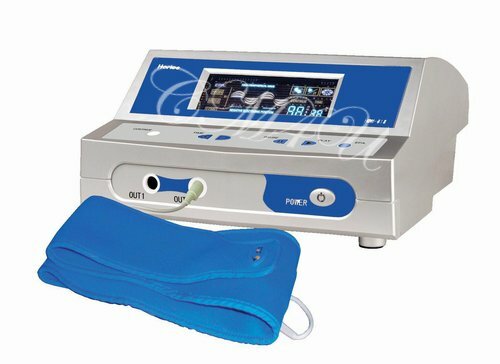 This PEMF therapy machine (pulsed electro magnetic field), not only increases the bodies negative electrical potential, but triggers serotonin release and promotes activation of ATP, resulting in lasting energy, cellular communication and connection, improved skin elasticity, relief of physical pain due to circuitry blockages, a noticeable and profound sense of well-being, and much more depending on specific individual health challenges. How? Basically, your body is a giant battery which has to be re-charged in order to function properly (the same principal as your cell phone) and this is where the sophistication of E-Power machine therapy comes in, explained in-depth below. RE-CHARGE AND POWER-UP YOUR BODY! FREE Belt, Silver Pen Indicator, E.Books, Video. A PEMF Machine - three settings. Advanced health and beauty technology from Japan. The E-Power is modern healing using advanced technology created in Japan (first introduced outside Asia over 20 years ago), known as electrotherapy or electro medicine, also known as PEMF. Easy To Use - sit down, velcro-wrap the blue belt around your waist, after plugging it into the E-Power machine, choose your settings, and then relax for 30, 60 or 90 minutes. No sensation is felt by the body other than perhaps a slight tingling. Discover the strongest and weakest areas of the body by applying the light tube test. After an E-Power session, apply the light tube test again to see the changes and improvements. Use the Energy Wand to promote the movement of energy through the meridians of the body. May also be used on the head to relieve pain and tension. Beauty: Use the included Silver Pen Indicator to promote a temporary mini facelift - the energy generated by the E-Power machine supports youthfulness and beauty care. The E-Power is often referred to as the anti-aging machine. Russia, Germany and Japan are the current experts in electrotherapy - a futuristic method of energy healing that is available today, and may be used by everyone worldwide, in the comfort of home. A healthy mind and body has a negative electrical field. The E-Power Machine was created using Japanese scientist Yiteng Xianzhi's research regarding negative potential, low voltage, high frequency. It has long since been approved by several renowned Japanese medical universities and has had notable results in improving the functions of organs, and limiting illness. A scientifically advanced machine for healing, recharging, re-connecting and rejuvenating your body via what is known as electrotherapy through the study and application of biophysics. This technology combines the theories of modern medical science, Traditional Chinese Medicine (TCM) and the biology of micro-molecules. The E-Power is a 'Negative Potential Body Energizer' that focuses on every cell in your body from head to toes. also known as Electro Medicine or PEMF? Everything in creation is energy. Energy has a resonant frequency, a vibration. Past masters that understood this, were Tesla and Rife. Tesla was a genius and applied his knowledge to technology, where as Rife applied his knowledge to understanding, preventing and healing disease in the human body. Today, all over the world, people are beginning to understand and develop biophysical electro-medicine so as so correct disease and imbalance at cellular level, in both animals and humans. "The cell is a machine driven by energy. It can thus be approached by studying matter or by studying energy. In every culture and in every medical tradition before ours, healing was accomplished by moving energy. Molecules do not have to touch each other to interact. Energy can flow through the electromagnetic field. The electromagnetic field along with water, forms the matrix of life." - Dr. Albert Szent-Gyorgyi, Nobel Laureate in Medicine. Electrotherapy promotes re-connection of broken or damaged electrical circuits within the body by stimulating correct wave form, current, and frequency. When there is pain in the body there is electrical resistance, meaning the electrical signals between cells are disconnected, broken, suppressed or blocked. Consistent use of this healing modality can help to restore the flow of electricity through painful areas so that meridian circuits may connect and healing can be supported. Thus cell communication is promoted. powerful therapeutic effects via electrotherapy. Negative Ions are basically oxygen ions with an extra electron attached, produced through water molecules, which purify the air and kill germs. Have you ever wondered why we love to relax by the ocean or sit near a waterfall, go boating on a lake or jog alongside a river? It is because they are an energetic electrical field, filled with negative ions, also found in high plateaus and highlands like those in Russia, China, Pakistan and Ecuador where tribes have significantly longer lifespans. These negative ions heal us as they uplift us mentally, emotionally and physically and trigger serotonin (the feel good chemical), within the body. Air conditioned buildings, fluorescent lighting spaces, rooms with cigarette smoke, over heated homes and stuffy environments, contain minimal to zero negative ions, which promotes poor health including headaches, lack of energy and lethargy, mental fog, depression, apathy, dry skin and dehydration. 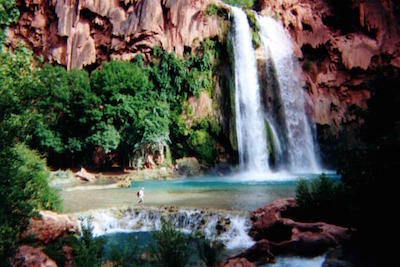 Recharge your body through nature: Next time you feel depressed go sit by the ocean or a river or waterfall and allow nature to sooth, uplift and heal you.Next time you are near earth, grass or sand, kick off your shoes and walk barefoot which will boost your negative ions, lift your spirits, energize your body, and promote healing, relaxation and inner balance. FYI: Increase the level of negative ions in your home and office by introducing a water fountain and live plants. The E-Power Machine is a Negative Potential Body Energizer. What is a 'Negative Potential'? There are about sixty trillion cells in your body, and each cell is 30-40 micro voltages, therefore the total 'electric potential' is huge, 24,000,000,000+. Nutrients, oxygen and H2O cannot penetrate the cell. Waste and carbon dioxide remain trapped within the cell. Nutrients, oxygen and H2O to penetrate the cell - waste and carbon dioxide are released. a) Children have approx. 70-90 millivolts of negative potential - they have tons of energy. b) The sick and fatigued have lower than 60 millivolts - they lack energy and have pain. c) Senior citizens have even less. When cells die there are zero millivolts. d) Cancer and disease equals 15 millivolts. The E-Power machine increases the negative electrical potential in the body, enhances oxygen reserves, boosts metabolism, supports the immune system, lowers blood sugar, all thereby resulting in increased health and revitalization. The body reacts to the negative potential energy and begins removing sediment acids, impurities, triglycerides and cholesterol, which adhere to the walls of arteries. 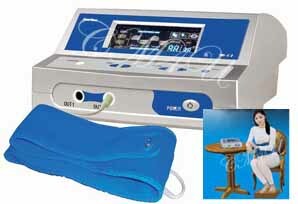 As the E-power increases the electric potential and cell permeability, it thereby cleans the blood and balances the pH. Negative ions potentially eliminate free radicals within a human body and maintain body fluids in a weak alkaline condition. "Using the body as a capacitor, the E-Power machine generates 70KHz of high frequency electrical waves, for acute pain to stimulate sensory fibers. As the E-Power increases the temperature of the subcutaneous skin, negative potential energy spreads throughout the entire body, creating a harmonious electrical field. Negative potential energy with high frequency balances the functions of cations (positively charged ions) and anions (negatively charged ions) on both sides of the cell membrane. This promotes a faster metabolism and aids in building immunity." - Extract adapted from HTE. The ocean has an abundance of negative charged ions. computers - which create harmful positive ions. 1) Within every cell there are 'energy factories' called mitochondria (found in nearly all cells except red blood cells), which produce 90% or more ATP (adenosine triphosphate), a main energy source for the majority of cellular and muscular functions, including the synthesis of DNA. Mitochondria failure causes cell injury that leads to cell death, which means reduced ATP production resulting in illnesses and disease both physical and neurological. 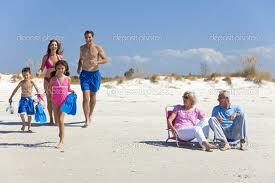 Aging is partially due to lack of ATP, researched and attested to by scientists worldwide. Negative potential activates the ATP enzyme and aids the composition of the ATP which is continually being broken down and re-synthesized every single moment, produced by one set of reactions and almost immediately consumed by another. ATP transports chemical energy within cells for metabolism and is thus an energy essential to the body in order for it to survive. ATP is used to build complex molecules, contract muscles and generate electricity in nerves. Without ATP, life as we understand it could not exist. 2) Every cell in the body has a sodium-potassium pump which is activated by ATP, and critical to the Lymphatic System working properly. Each cell must remain negatively charged in order for the sodium/potassium pump to work properly which allow nutrients to enter, and waste to exit. If the negative charge diminishes, it affects the ATP, thereby the sodium/potassium pump, and thus compromises the cell. FYI: An interesting note is that Fibromyalgia patients are reported to have low ATP, promoted by nutritional deficiencies. All of us want to be healthy, delay aging and remain energized. The E-Power machine may promote and support these desires. The E-Power machine supports the body's ability for recovery by promoting electro-magnetic cellular reactivation, rejuvenation and wellness on multiple levels - including the promotion of bowel movements and energy which both promote healthy skin and youthful vibrancy. The machine acts on muscle cells of the digestive system for faster digestion, softening the hard waste and stimulating the intestine to increase intestinal transit, thereby helping to eliminate constipation, thus removing toxins. Consistent daily use of x30 days plus promotes softer skin, and may promote a firming of the jawline for some as reported by female users in the USA and Canada. Photo before and after several months. Electrical stimulation at high frequency of cells at a rate of 70,000 times per second (70 kHz), helps skin regain its elasticity by increasing collagen and hyaluronic acid and accelerates the process of detoxification of the skin improving appearance and health. Light tube test showing before and after. Notice the tube has no light, then is lit up. If you take a fluorescent light tube, whilst sitting with the E-Power belt activated, the tube will light up on its own when you hold it. If you pass the light tube over your body, the areas where the light is dimmer, indicates the areas that need to be strengthened. It indicates the areas of your body lacking energy, weakness, possible energy blockages and health challenges. 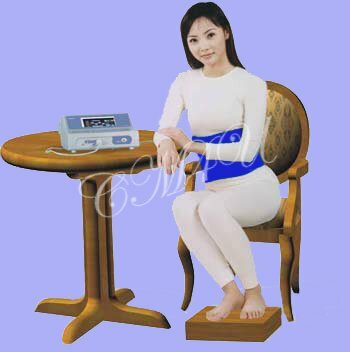 1) Plug in the E-Power machine and belt, sit comfortably, and have someone move the light tube around your body - arms, legs, head, upper and lower torso etc - taking note of the weaker areas, indicated by a dim light, or the tube barely lighting up. 2) Next, relax and enjoy a 30 to 60 minute session. 3) After the session, once again, have someone move the light tube around your body. The difference before and after, may surprise you. This file that shows complete step by step guidance, including explaining what the poor areas of energy may indicate health-wise, as indicated by the light tube test. The Energy Wand (12" long), is a tool used to work in tandem with the E-Power machine to guide the energy and directly stimulate the meridians (the energy pathways of the body), clear blockages, and stimulate blood flow. To use, plug in the E-Power, put on the belt, sit on a chair, then simply hold the wand and gently glide it over the skin. The wand itself does not have to be plugged in, and the end of the cord simply lies on the floor, grounded by a heavy metal bullet tip. Energy Wand demonstration as applied to meridians. Step by step instructions and meridian charts. for personal or professional use. The E-Power machine generates no physical sensation other than a light tingling for some users - just sit back and relax. 1) Take off any heavy metal jewelry, bracelets, watches, belts etc. 2) Do NOT use a cell phone, computer or any other electronic gadget whilst using the E-Power machine as it will cause electrical conflict. 3) Plug the cord into the E-power machine and the wall outlet. 4) Keep both the machine and yourself, 4 inches away from the wall. 5) Do NOT let the cable connected to the belt contact the floor. 6) Put the E-Power belt around your waist with velcro facing out. If waist is too large, you may wrap the belt around your thigh. 7) Feet need to be OFF the floor - recline on a couch or bed, or sit on a wood chair (not metal), with feet on stool. 9) Press time button 30, 60 or 90 min or continuous button. A 30 mins or 60 mins session limit is recommend if using more than twice daily. 10) Press EPA button to choose from one of three settings - low, medium or high frequency. Drink plenty of water for hydration, to promote detoxification and to increase metabolism rate. Before, during or after session is ideal - At least x1 glass of water 1 hour before the session, and x1 glass of water 1 hour afterwards. Alkaline or ionized water is best choice to enhance benefits. TIP: Morning use stimulates alertness. Evening use promotes relaxation. If you have a pacemaker or serious heart problems - electrical conflict. If you have a diabetic monitor, or any other internal electrical device - electrical conflict. If you are menstruating - may increase blood flow. If you have a high fever - wait until fever is reduced. If you have transplant organs. if you have kidney problems or are on dialysis. If you are undergoing chemotherapy - may increase chemo toxicity. If you are bleeding or have had recent surgery - wait 2-3 months. If you have been drinking alcohol or caffeine - may increase effects. If you have breast implants - no scientific evidence but may cause rupture. Will i feel anything whilst i'm using the machine? If you have healthy capillary function you may feel slight stimulation in the fingertips, otherwise usually no sensation is felt physically. The E-Power does not directly expel the electricity to your body. It creates a cell vibration of 70,000 times per second which is best suited to your body, relaxing you, whilst stimulating your cells into action. There may be a very tiny static shock if someone touches you, like the sensation from static clothing. FYI: Clients in Taiwan visiting health spas, have their hair washed whilst using the machine. What is the maximum amount of time the machine may be used daily? Begin with 30 minutes in the low mode. One hour on medium is a good daily session. You may slowly increase the time and intensity in increments - 8 hours maximum daily if really desired. How frequently may the E-Power machine be used? The more frequent and consistent the sessions, the more noticeable the results. In general, one hour on a consistent daily basis is good, but If you prefer twice daily or longer sessions, that is ok too. 3) No known side effects - non invasive - non toxic. 4) Noticeable long-term benefits within first few weeks to first month of use. 5) Can be used if taking medication. 6) Can be used with internal metal parts - rods or plates. 8) E-Power machine lifespan with regular use is 5 years. 9) 1yr warranty on E-Power unit - 6 month warranty on E-power belt. plus Free E.Books and Video. 45" / 114 cm waist. Shipped directly from head office Los Angeles. For home or professional use. Diet is everything - You are what you eat.